Is there an adoption fee? Yes, there is an adoption fee for all the animals, and the adoption fees at this event vary from one organization to the next. 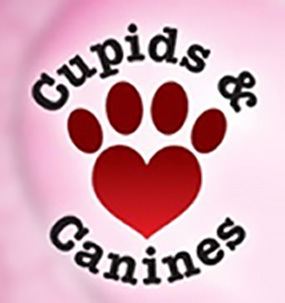 Remember all participants are 501c3 non-profit organizations, so adoption fees are used to help cover medical expenses for the next dog in line. Do I have to fill out paperwork? All adoptions require an adoption application. After all the love, time, money and effort put into these animals, our top priority is their well-being. Therefore it is important that we know you have the proper environment for the dog, cat or bunny you are adopting, and that you aren't adopting impulsively. We want to make sure you have thought this through, and are prepared for a long-term commitment. It also helps to insure a good match, which makes everyone happy! Each rescue and shelter has their own application. What type of information do I need to adopt? Be sure to bring a vet reference if you have one! Also, if you are renting your home or apartment, your landlord's information is required, as we will need to verify that you are allowed to have pets. Personal references may also be helpful. While applications vary by organization, we would recommend you also bring pictures of your yard and home if you can....this helps the rescue group get an idea of the type of fencing you have, and let you know if there are any issues you need to be aware of for the particular pet you are adopting. Just try to think of all the things YOU would want to know if you were having someone care for a beloved family member. Do I have to take the pet home from the event? None of the rescue organizations will require you to take the pet home directly from the event if you are not comfortable with that, or if you are not already prepared with all the necessary supplies. Most will schedule a day and time that is convenient for you to bring the dog or cat to your home. At that time, they can help with any questions you may have about the pet's behavior and making a smooth transition. It also allows the rescuer to do a home check, point out any concerns you may need to be aware of (ie: holes in your fencing that you may not even know are there). I have another pet at home. How will I know if they get along? None of the rescue organizations will require you to take the pet home directly from the event. Most will schedule a day and time that is convenient for you to bring the dog or cat to your home. There they can help to supervise an interaction between the pets to make sure everyone loves each other. It also allows the rescuer to do a home check, and help you with the transition. Why don't they just give the animals away for free? It is important to note that unlike municipal shelters, rescue organizations are not funded by tax dollars or government grants. Therefore, adoption fees are charged to help them cover the costs of medical care, including legally required spay/neuter surgeries, vaccinations and microchips. They can only save more animals if they have the funds to do so, and none of the organizations receive free vet care. What are adoption fees used for? Most rescue organizations are all-volunteer. Therefore, the adoption fees help to cover the basic required expenses (spay/neuter, vaccinations, microchip) for the pet you are adopting. If they're lucky enough to have funds left over, they are used to offset the next pet in the que, or for medical expenses incurred by the animals which must be treated before the pet can be put up for adoption, such as broken limbs, kennel cough, skin and allergy issues, burns, infections, flea and tick treatment, etc. Please be assured, none of these groups are getting their vet expenses for free. Understandably, veterinarians have to charge for their services, too. What does the adoption fee cover? By law, all adoption fees must include the cost of spaying or neutering the pet and full vaccinations. Most organizations also include a microchip. Many of the organizations also provide a free vet check-up after adoption. (Please note that many veterinarians throughout San Diego will offer a free vet check-up with proof of adoption from a legitimate agency). I would like to learn about volunteering or fostering a pet. Will there be information at the event? YES! 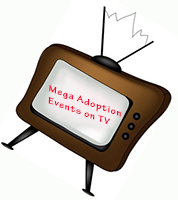 We are bringing together 20 of the finest rescue agencies and shelters in one convenient place! Please come and interview representatives from each of the organizations and find out what volunteer opportunities they have, or learn about fostering a pet in your own home. You're bound to find an organization you really like, and want to be part of in the future! Can I bring my young children to the event just to play with all the dogs? We love children who adore dogs. But if you are not planning on adopting, we recommend you DON'T bring young children to the event just to play with the dogs. This event will probably have 200+ dogs in attendance, and in addition to the stress of so much activity and barking, some of the dogs may not have ANY experience being around a child. Therefore, for the safety of toddlers, we don't recommend bringing them to play. If you are adopting, however, please watch your child carefully, and always ask if the dog you are approaching is good with children. Most of the dogs at this event are in foster homes, so the various groups have the benefit of knowing which ones are currently living with toddlers. If you are a potential adopter who doesn't feel comfortable bringing your child to such a busy event, you can come meet some of the kid-friendly dogs, and then schedule a meet-and-greet at a later time when your child can have one-on-one time with the dog you are interested in adopting.